Renowned for its integrity and authenticity, Rancho Santana’s Food and Beverage program is based on a simple premise: keep it natural. Whether it be our fresh smoothies at el Café, a fish taco at La Taqueria, or La Finca y el Mar’s signature Surf and Turf, we strive to use only the freshest local ingredients available. 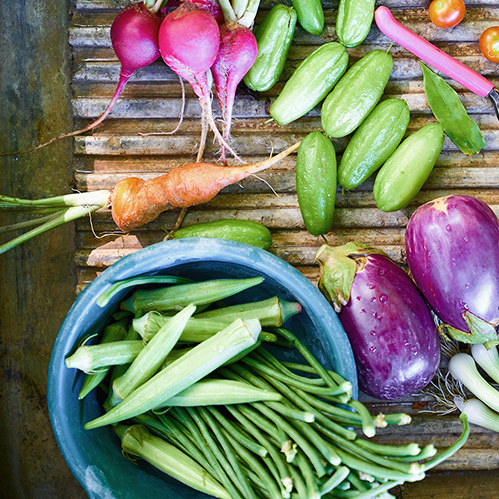 Sourced from our organic farm and garden or provided by a local co-op of fishermen, our dishes deliver an authentic taste of the best farm-to-table cuisine Nicaragua has to offer. Rancho Santana’s culinary program centers around our multi-acre organic garden, farm, and a local community of fishermen and farmers. Our restaurants, our general store, and private chef services utilize ingredients produced onsite. 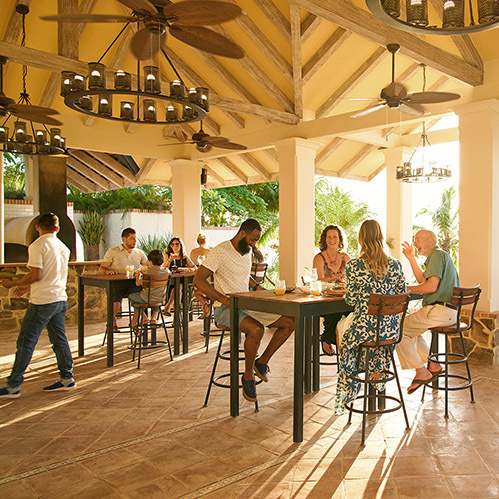 Located at the Clubhouse on Playa Santana, La Finca y el Mar serves farm-to-table fare with a Nicaraguan twist. 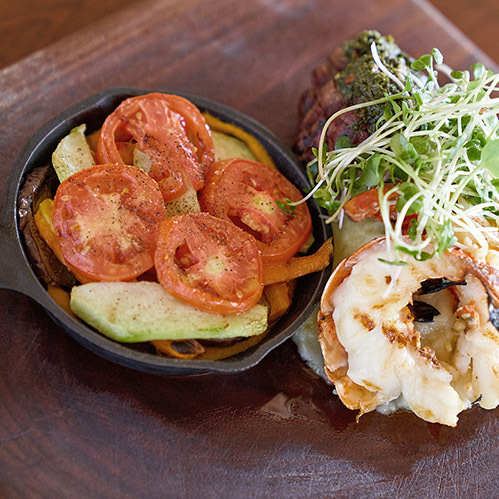 Our menu caters to all tastes and highlights the day’s fresh sourced seafood, meats, and organic produce. 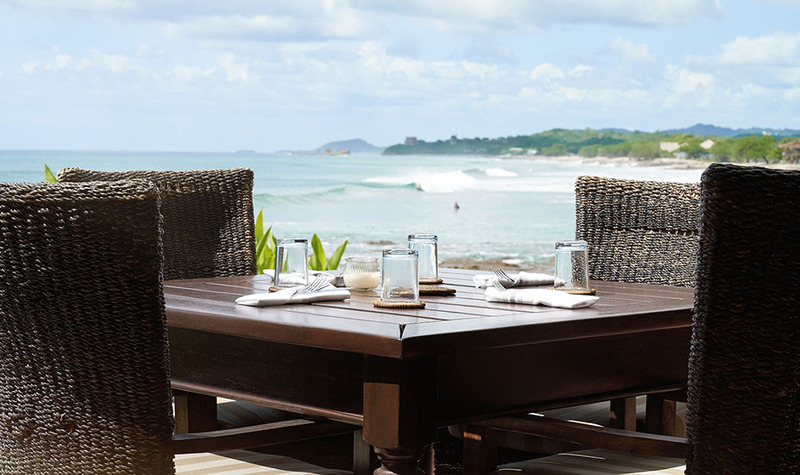 La Finca y el Mar is open for breakfast, lunch, and dinner and offers a “kids menu” for meals the whole family can enjoy. La Finca y el Mar offers a full menu and daily specials in addition to the sample menu below. 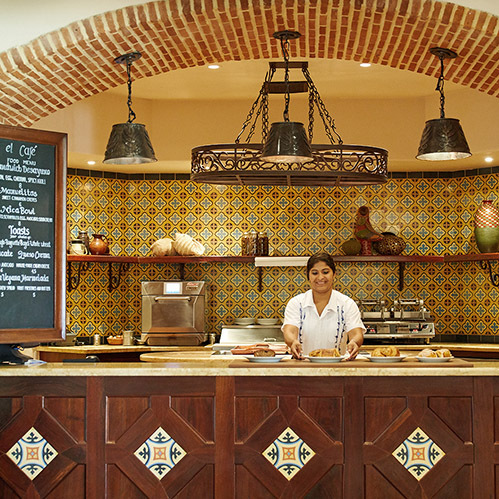 Conveniently located at The Inn at Rancho Santana, el Café serves freshly brewed Nicaraguan coffee alongside sandwiches, pastries, smoothies. Indulge in our freshly baked croissants, or grab a sandwich after relaxing in our Sand Dollar Pool. El Cafe is open for breakfast and lunch. 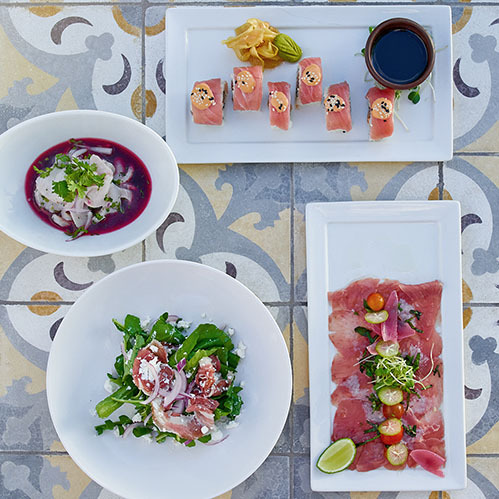 Boasting an open-air kitchen and terrace dining area, La Boquita serves an ever-changing lineup of wood fire oven pizzas, raspas, and small plates accompanied by a selection of locally brewed craft beers, wines, and signature cocktails. Guests can enjoy a quick bite, or enjoy our varied menu with friends over a delicious meal. La Boquita is open seasonally for lunch and dinner. 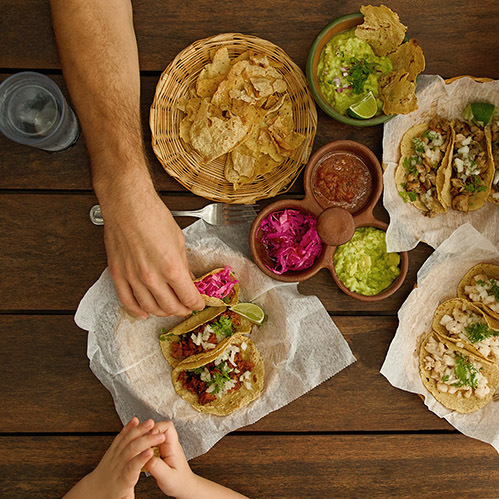 Located at the Beach & Surf Club at Playa Los Perros, La Taqueria offers light, fresh beach fare in a rustic, casual setting. Our open-air taqueria serves baja-style tacos, quesadillas, ceviches and more, and features our homemade tortillas and garden fresh salsas. La Taqueria is open for breakfast and lunch daily. La Tienda is Rancho Santana’s on-site grocery store and dry goods market. 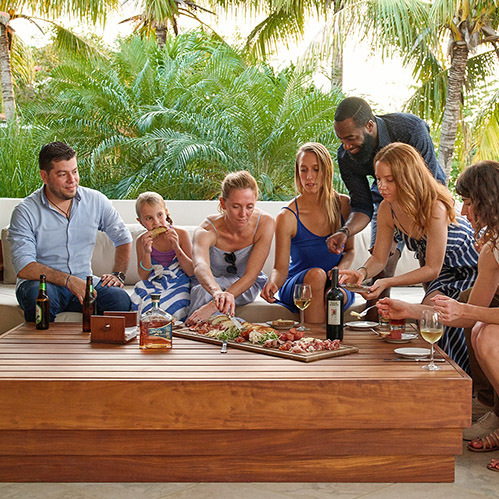 Here you’ll find pantry basics, ready-made items from the kitchen of La Finca y El Mar, snacks, sundries, and a full range of alcoholic and non-alcoholic beverages. 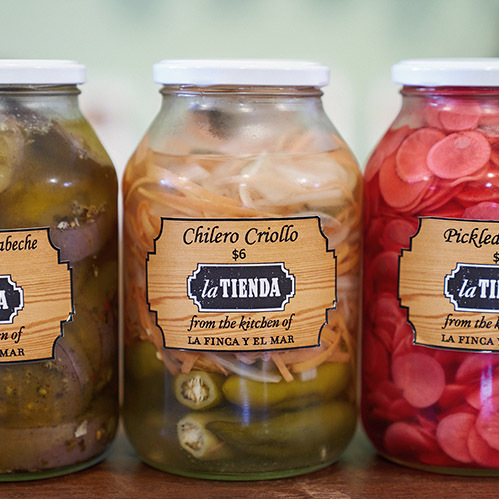 La Tienda is open seven days a week. La Tienda offers a pre-arrival grocery procurement service for accommodations with kitchens. Simply fill out the online form and your requests will be delivered prior to your arrival. Rancho Santana offers in-home dining services to guests staying in accomodations with kitchens. Let one of our talented chefs prepare an intimate breakfast for two, a family meal, or delicious dinner party for your group from one of our dining menus. To view menus and make requests, please use the form below.